The birthday boy/girl will be treated to a FREE kiddie’s meal, soda, balloon, Mikey ice-cream and an awesome gift. All their friends get to enjoy their choice of three yummy kiddie’s meals, a soda, balloon and a Mikey ice-cream. Offers vary between stores, contact them for a quote. 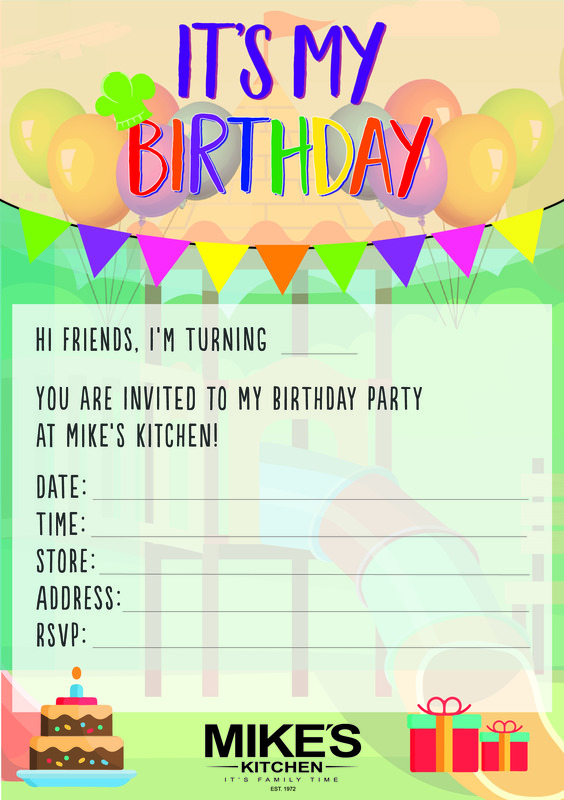 Print this form, fill it out and drop it off at your favourite Mike’s Kitchen.